As people paid to read the Internet all day, (hard work! No, actually.) 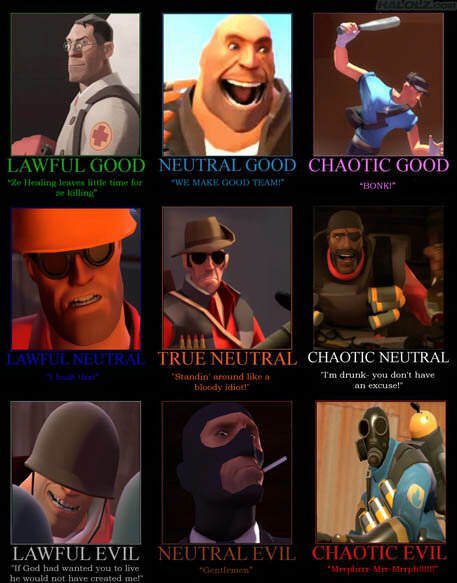 we can tell you definitively that Alignment Charts seem to be blowing up all over the place lately. Today alone we’ve seen The Big Lebowski, Alice in Wonderland, and Dr. Who take the Web by (missile) storm. Here’s the thing: they’re not really a new meme. 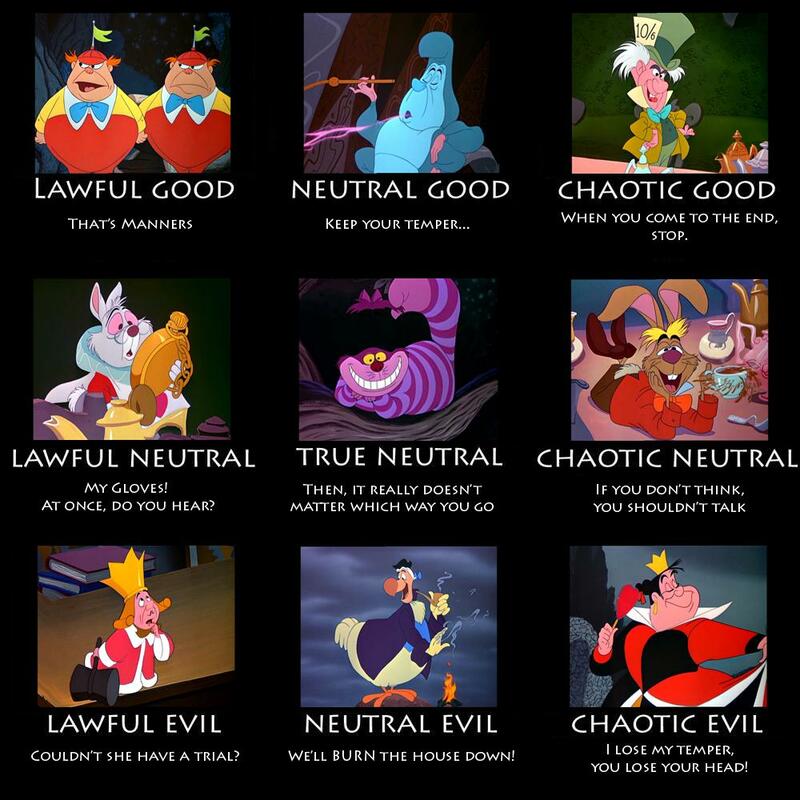 For those not familiar with them, alignment charts draw from classic Dungeons & Dragons, breaking characters down by two axes: Law-Chaos (lawful, neutral and chaotic) and Good-Evil (good, evil, and neutral). 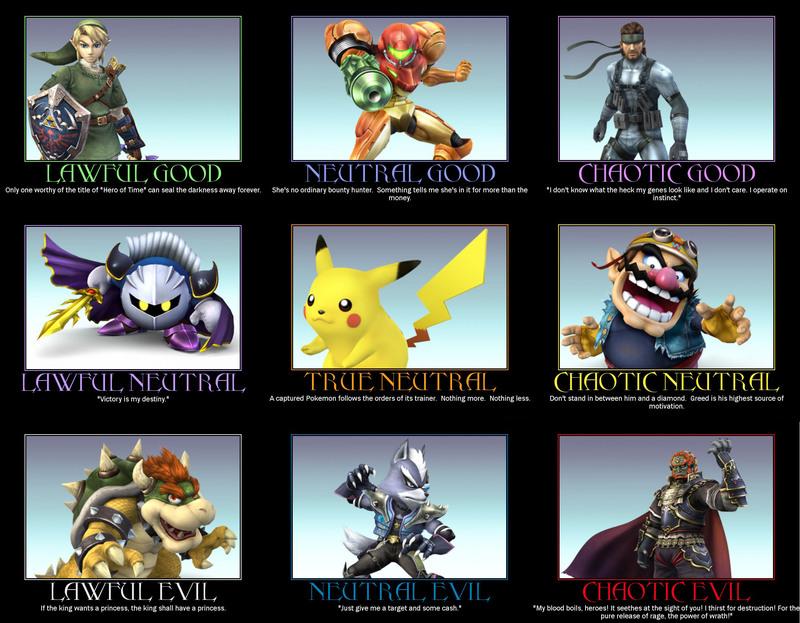 An alignment chart in meme terms, then, is a 3×3 grid comprised of nine characters from a given movie, game, or other pop culture happening.